A tornado touched down in Morganfield and Paducah, Kentucky, on Thursday, March 14, reportedly causing damage. The National Weather Service tweeted at 9.31 am that a tornado had “just missed” their office in west Paducah and later confirmed a tornado on the west side of nearby Morganfield. 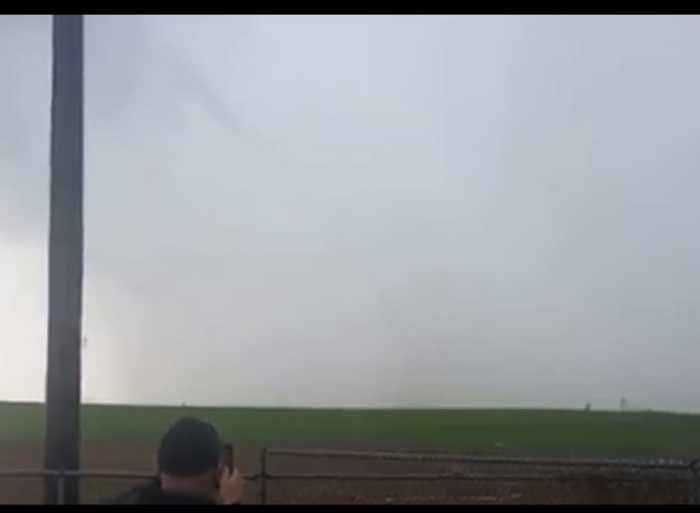 This video was shot from Hilltop Rd in Morganfield, Kentucky, overlooking a large field, and appears to show a thin funnel cloud generating high winds. In this video, the sound of the wind gets incrementally louder before Nic Duncan, the filmer, and his companions ducked inside for shelter.